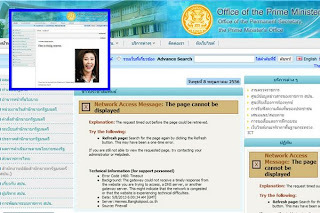 The official website of the Office of the Thai Prime Minister was quickly taken down after a hacker defaced the website with abusive message pasted next to an altered photograph of a laughing Prime Minister Yingluck Shinawatra. The words "I'm a slutty moron" appeared briefly alongside a picture of a smiling Yingluck, followed by "I know that I am the worst Prime Minister ever in Thailand history!!!". It was signed by "Unlimited Hack Team". 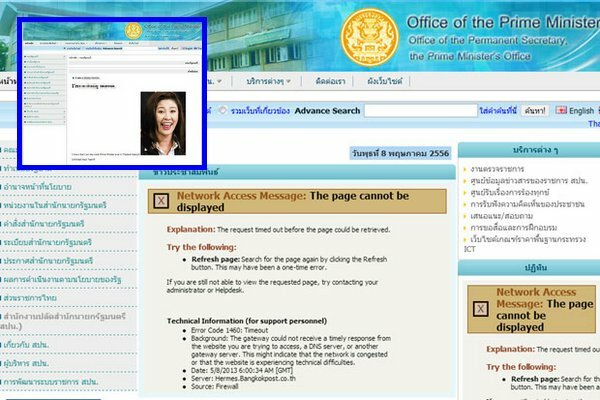 The PM's Office's site was hacked at around noon Wednesday. Technicians struggled to deal with the problem. An investigation has been launched and authorities seem confident that they can identify the culprits. Unlimited Hack Team has been around for a while. According to a lengthy video posted on YouTube, the team is two young men, who use well-known exploits and scripts to break into websites from a regular Windows Server PC. Prime minister's secretary-general said, "It might have been done by some teenagers ... or maybe it was for political purposes,". "If we find them, they will be charged under the Computer Crime Act".